In Backwards, author Todd Mitchell chronicles the curious existence of an entity dubbed “The Rider”; after kind-of-protagonist Dan commits suicide, The Rider begins reliving the high schooler’s final days in reverse. The Rider, aghast at the amount of hurt Dan has inflicted on his family and classmates, vows to erase all of the troubled high schooler’s mistakes. From smoothing things over with Dan’s furious sister Teagan, to (finally) showing his harrowed mom the appreciation she deserves, The Rider can’t wait to correct Dan’s selfish behaviour. But Dan’s ex-friend Finn harbors a sinister secret, and alluring misfit Cat, for reasons unknown to The Rider, regards Dan with nothing short of fury. What exactly happened at Finn’s house party? Unless The Rider unravels this mystery by Halloween, he risks dooming Dan— and all those around him— to the same miserable fate The Rider swore to alter. Although I approached Backwards skeptically, apprehensive of a novel that appeared more gimmick than plot, Mitchell quieted all my misgivings within the book’s first few pages. 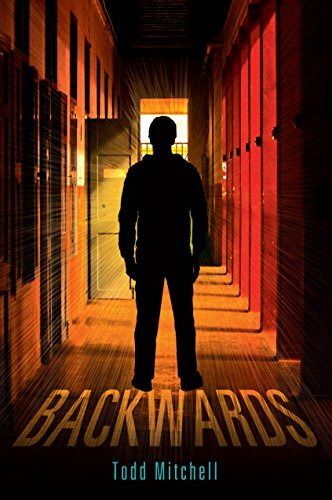 Backwards doesn’t shy away from uncomfortable topics such as suicide and teen drinking, nor does it exploit these hardships for the sake of suspense. Rather, Mitchell addresses numerous difficult topics with poignancy and tact. Mitchell depicts the main characters with a rich, endearing complexity, and Backwards proved more of a character study than a pacing novelty. Speaking of pacing, Backwards progresses fairly briskly, and Mitchell’s vivid, lyrical prose mesmerizes readers from the get-go. Though the twist ending initially struck me as incongruous to the rest of the plot, I now realize that it’s sometimes justified to sacrifice plot on the altar of profundity. In conclusion, not only did Todd Mitchell’s Backwards wow me, it also explored the sensitive topic of teen suicide in a respectful— yet wholly engaging— way.